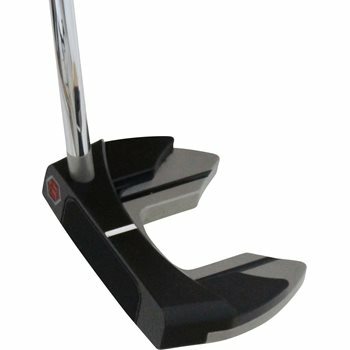 The Bettinardi INOVAI 1.0 is a high MOI mallet putter. The putter head is milled from 6061 aircraft grade aluminum, and a stainless steel weight is in the milling placed low and away from the face. It has two cut outs, strategically milled from the body along with side by side score lines. A Superfly mill and F.I.T. (Feel Impact Technology) face are applied to allow for the softest, yet most responsive feel on an aluminum putter head. Says right hand but pictured is left. I'm frightened.